Description: Cruise on world famous Sea of Abaco............... Wonderful Sunsets & Great place for Wild Dolphin viewing Sail with Capt. 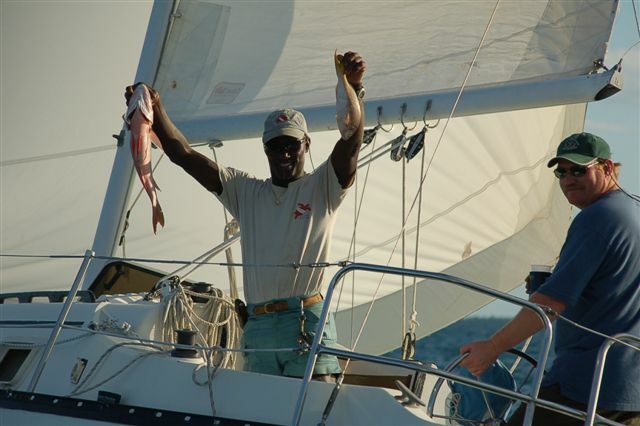 Brendal who is world class sailor with lifetime experience or just sit back and enjoy the Bahamain view.... Brendal loves to share his sailing experience with new sailors as well as seasoned sailors ! Great for honeymooners,couples and families. Private Charters are available.